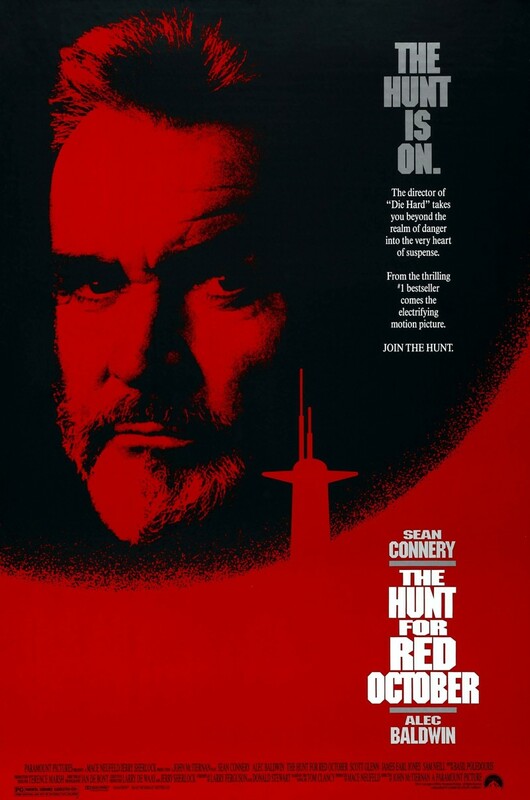 The Hunt for Red October is a thrilling tale about a Soviet Nuclear Submarine that goes rogue and heads for the American East coast. Submarine captain Sean Connery has been granted the command of a revolutionary new submarine with a proprietary propulsion system that is virtually guaranteed to be undetectable, making it the perfect stealth weapon. Unbeknownst to the Russian hierarchy he intends to sail this ship to America and turn it over to the United States government as payment for the loss of his wife. Only the immediate officers are told of his plan and this leads to action and intrigue under the seas. The U.S. is unsure of his intentions and an unknown analyst – Jack Ryan is tasked with providing the President an overview of the Russian captain and predict what he wants to do with the submarine. Ryan is eventually ferried out to an American boat and serves as the liaison between American and Soviet forces that are caught up in a shootout.